The “Hiker Hunger” finally hit. I even know the moment it did. Leaving Big Bear was hard. 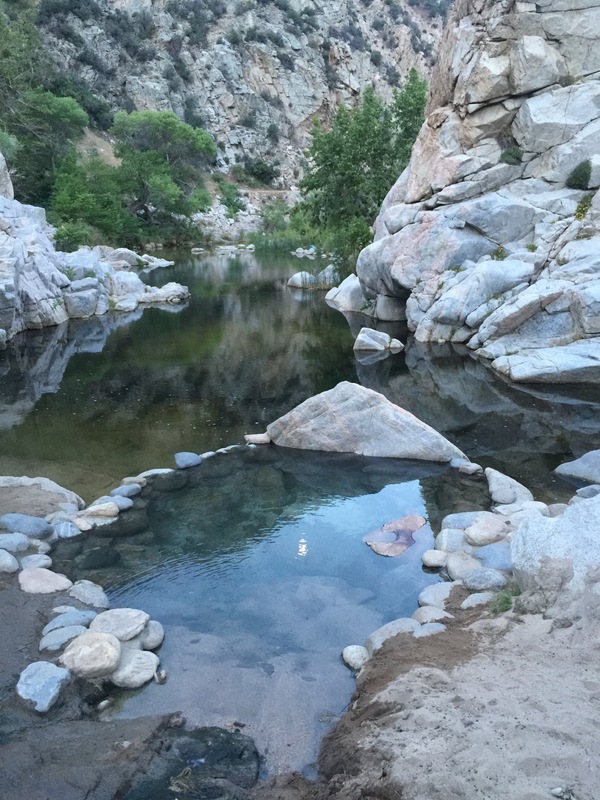 Outside of the winter, the PCT hikers are the tourists and we were welcomed with “Hiker Discounts” and warm smiles. It was a great way to relax and enjoy the town. But the trail must be hiked. There were six of us who got a ride at 7:30am from the Hostel back to the trail head. We rode in this giant old Oldsmobile station wagon with the rear facing 3rd seat, a roof rack for our packs and were told it belonged to the mother of the Hostel owner. I sat in the front seat looking out the cracked windshield wondering if we’d make it. The access trail climbed sharply finally meeting the PCT high overlooking the lake. I enjoyed the great views and trees until they thinned out as the trail left Big Bear behind and decended elevation. After a few of hours hiking in old burn areas I arrived at an equestrian campsite and stopped for lunch. Another couple joined me and we all pulled out our food bags. The young lady started adding cold water to a packet of potatoe buds while I pulled out a tortilla and began spreading chunky Almond Butter. Once she was satisfied the mix was right, she pulled out her own tortilla and spread the mix in a thick layer. She then added a handful of Cheetos from an open bag and topped it off with a whole cheese stick. Rolling this into a Burrito she remarked how cheese makes everything taste better and began to eat. I looked at her happily eating and thought “I have got to try that myself!”. I thought about this as I sit in my tent beside a stream fighting the urge to eat something. It’s 9pm and I already brushed my teeth. I need my sleep. I finally gave in and had a tortilla. More hiking through arid landscape with burned husks of trees from an old fire. There is no shade. The trail follows the Deep Creek canyon with water down below. 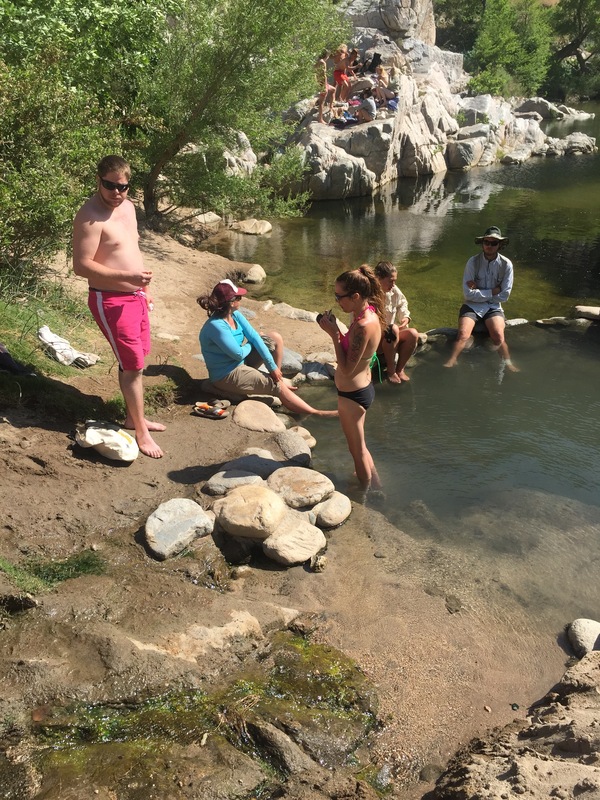 The goal today is Deep Creek Hot Springs, which is on the edge of the Deep Creek river just before the Mojave dam. It was awesome! 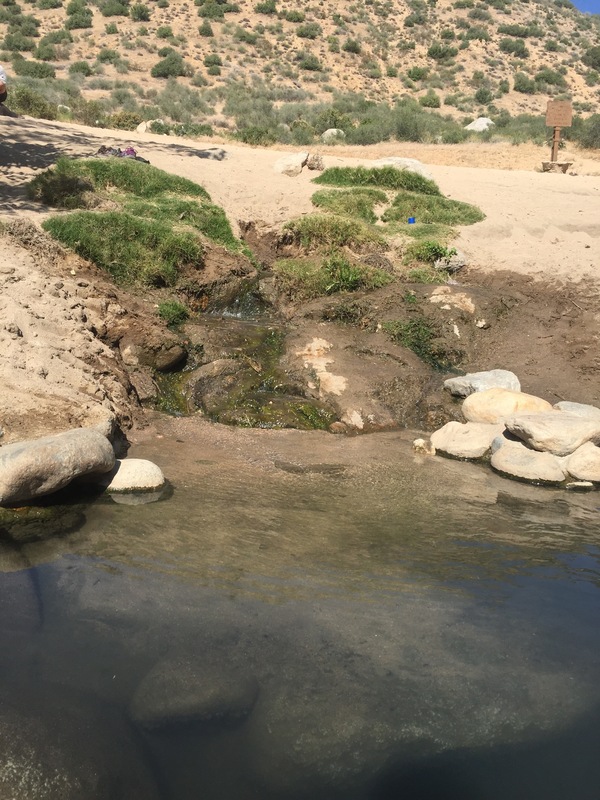 The hot springs are 20 feet from the river and someone made a wading pool catching the spring water. The temperature was, I would guess around 100-105deg. Prefect hot tub temp. It was bliss after the two day hike here. This makes it a 13 mile day. Kinda lame when I’m supposed to be doing 17-18. It is 60 miles to the town of Writewood, so I have to step up my pace a bit. You are doing great! Keep going. I totally want to try her burrito idea too.